Yesterday, during the cool down portion of spin class, right before we hopped off the bikes and stretched, our instructor Larry dimmed the lights, played Hillsong’s Forever Reign, and told us to count our blessings and say a prayer for Leanne, our friend and fellow spinner who was diagnosed with breast cancer a while back. Same way we’ve ended class for months. Some nights, it’s a silent prayer during cool down. Other times, we circle up, hold hands, and take a giant selfie that Larry posts on Facebook with a Team Leanne hashtag letting her know we’re standing in the gap on her behalf. I’m scheduled for spin tonight but I don’t want to go. I don’t want to go because I don’t know how we’ll end class. No prayer circle. No giant selfie to post on Facebook. Leanne’s battle with breast cancer ended last night. Leanne was more than just a girl in my spin class, although that would have been enough. Try coming into class with the intent of barely breaking a sweat because you aren’t really “feeling it” and ending up on a bike next to Leanne. There’s no halfway working out when you’re working out next to a woman who despite having undergone cancer treatments a few days earlier is sitting with a big “hello there” grin on her face ready to punish the pedals. There are no excuses not to give it your all and no reasons to wallow in self pity when you’re watching a woman engaged in the literal fight of her life workout with the fierceness of a warrior. I’ve burnt more calories than I ever intended and made my muscles sorer than I could’ve ever imagined all because there was this “no excuses, no quitting” girl seated on the spin bike next to mine. Leanne was more than a girl in my spin class; she was my friend. 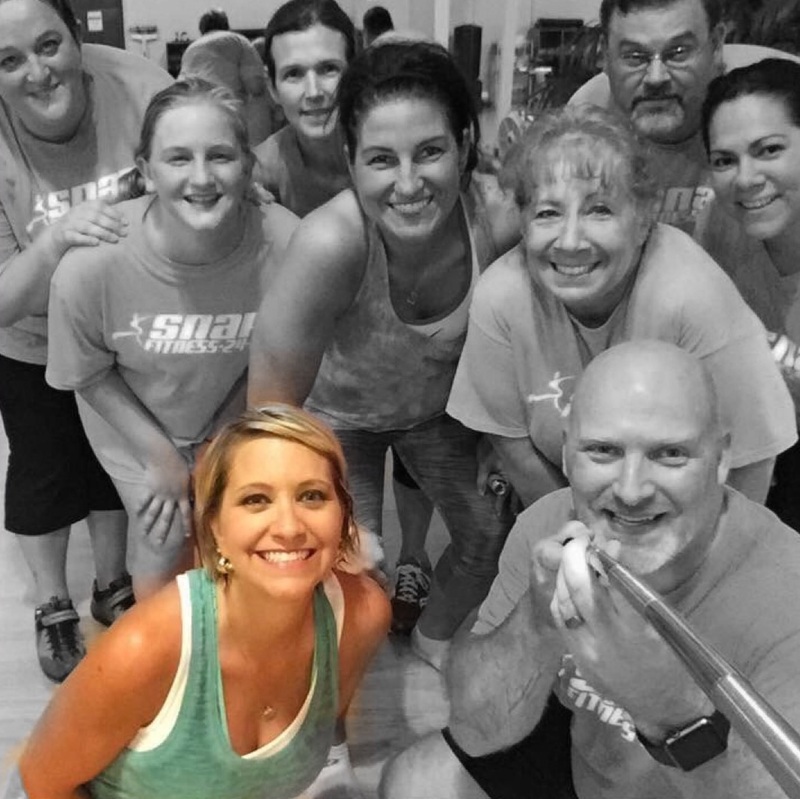 She was a loving wife doting on her Darrel, an adoring mother to seventeen year old Sarah Beth her almost spitting image, and coach to over a dozen Cheatham cheerleaders teaching routines, giving advice and becoming more like a second mother than coach. She was a motivator gently pushing all that knew her to be better, kinder, stronger. She was an inspiration encouraging us to love more, laugh more and live more. She was an example of determination despite the odds, courage despite the circumstances and faith despite even the worst news. She was fun loving with infectious laughter, goofy picture poses and gorgeous smile. Her life impacted many and we are forever better for having known her. I think I will go to spin tonight. When the lights are dimmed during the cool down song and we are instructed to count our blessings, I will count having known Leanne as one of my greatest. That’s how class will end from now on.